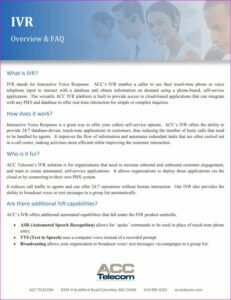 ACC Telecom’s cloud-based Interactive Voice Response (IVR) routes calls by deploying voice recognition and touch tones without additional hardware or infrastructure- and is compatible with most PBX systems. Deployed as a standalone solution or with our Contact Center software, businesses that utilize IVR systems reduce operational costs by automating interactions such as payment and appointment reminders, shipping status, test results, and prescription refills. Callers choose their selection either by touchtone or via voice recognition which prompts the IVR to route their choice to the appropriate extension, department or self-service option. IVR technology gathers and validates caller input, which automatically triggers responses, alerts supervisors of high call volume, and provides many creative, custom application opportunities. 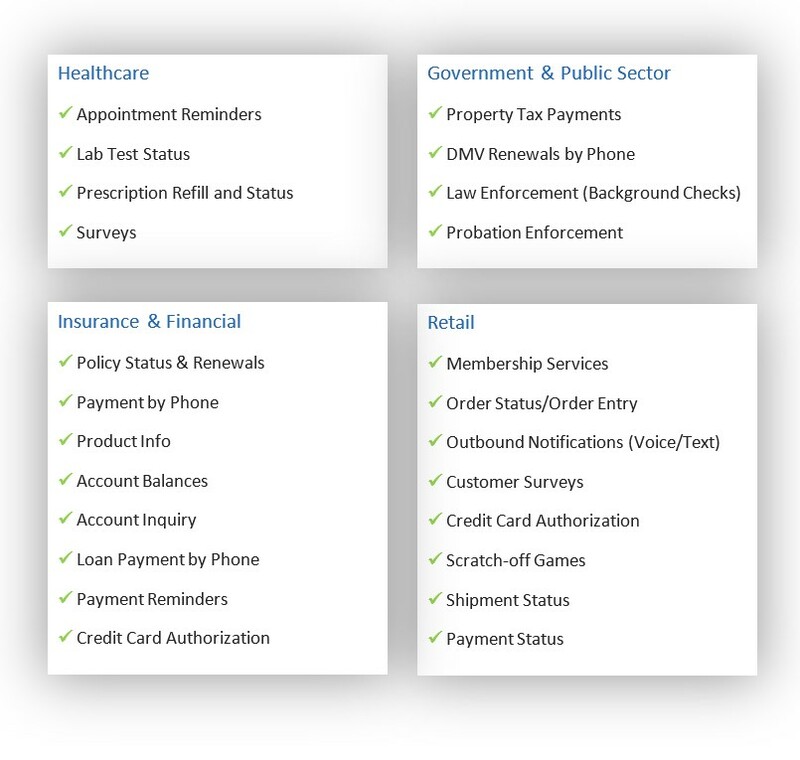 We’ll work directly with you to create custom Interactive Voice Response applications such as shipping status, survey’s, prescription refills, mass notifications (SMS text message and/or voice calls), payments, account balances, order updates and so much more. IVR solutions are mostly used in organizations that have callers requesting data that computers can easily retrieve. Movie theaters, health care facilities, financial institutes, government agencies, and insurance companies are just a few of the many organizations that use this system to often give callers 24-7 access to data. Contact Centers and Call Centers frequently use the system for customer account screen-pops and efficient department routing. Contact ACC Telecom today for your complimentary IVR consultation. Contact us for more information on installing an Interactive Voice Response phone system for your Maryland, Washington DC or Northern VA business or organization.